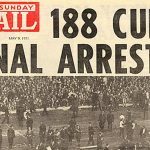 Back in 1973 there weren’t may live televised games to watch but the one exception was when ITV used to show the schoolboy under 18 international fixture between England and Scotland at Wembley every year, normally in June. It was surprising how many Scotland won in those days and one tends to recall the Paul McStay classic from 1980 as the most prominent. But on a sunny day in 1973 Scotland beat England 3-1 with Celtic’s young centre forward, George McCluskey, being the best player on show and this made George the most wanted youngster in Britain at that time. Celtic fans eagerly anticipated his promotion to the first team and in October 1975 the 18 year old George made his mark when he appeared in Celtic’s 3-1 win over Boavista in the European Cup Winners Cup. By August 1976 he was Celtic’s first choice centre forward but injuries held back his progress and at one stage it looked as though George would not fulfil his potential. This all changed in February 1978 when he was recalled to a struggling Celtic team and fired in a glorious hat trick in a memorable 7-1 win over Dundee at Parkhead in the Scottish cup. 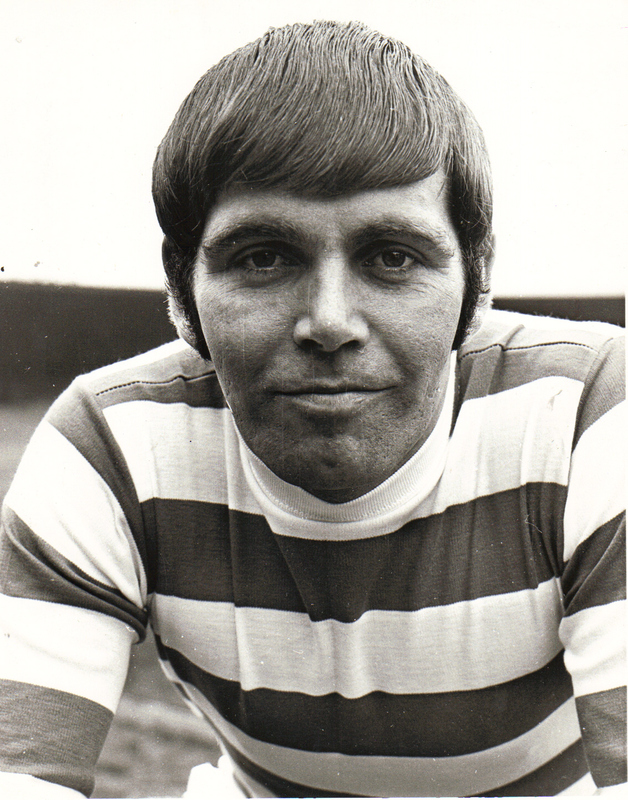 From then on he was a first team regular and a hugely popular personality with the Celtic supporters. In the 1978/79 season Joe Craig departed and Tom McAdam moved to centre half, allowing George to take the mantle of Celtic’s main striker. 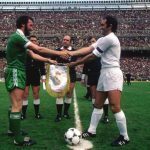 However, Billy McNeill was critical of his lack of goals and Frank McGarvey arrived in the spring of 1980 to increase quality and competition. George responded well and scored an opportunist winner in the 1980 Scottish Cup Final against Rangers, which literally caused a riot. Although George was not a prolific goal scorer he had the habit of coming up with very important goals. 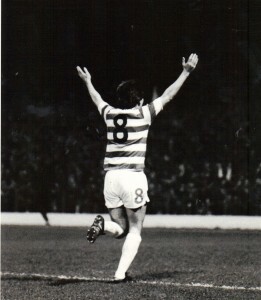 In 1979 he became a legend by scoring Celtic’s second goal in the unforgettable 4-2 win over Rangers on the night when ’10 men won the league’ when he and his team mates ran themselves into the ground for the Celtic cause. 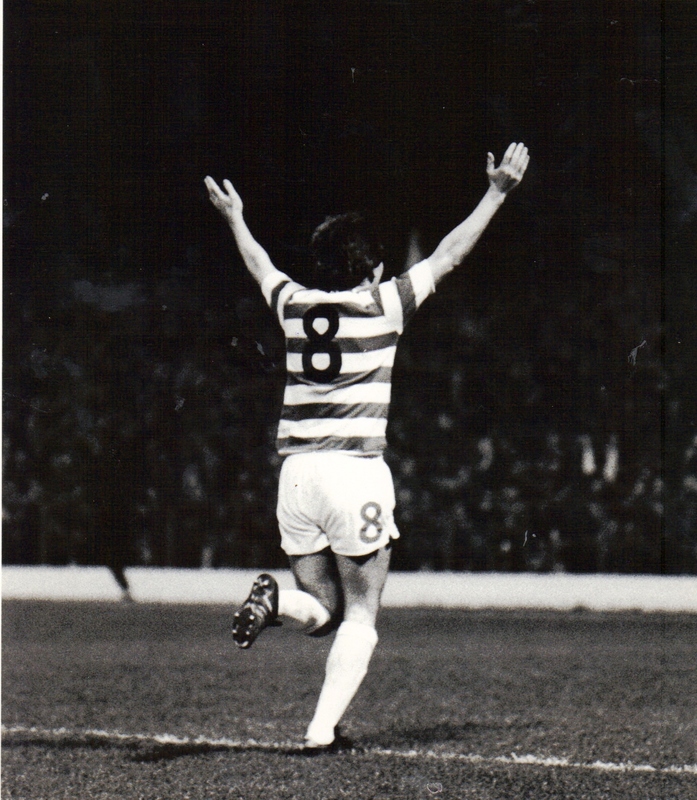 In March 1980 he scored in Celtic’s great 2-0 victory over Real Madrid at Celtic Park but unfortunately missed a decent chance in the Bernabeau and Celtic went down by 3-0 on the night and 3-2 on aggregate. 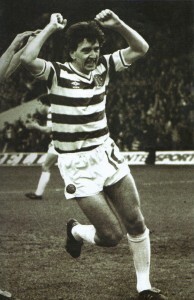 In May 1982 he scored two late goals against St Mirren which helped Celtic to the title on a dramatic last day and a few months later he scored a sensational last minute winner against Johan Cruyff’s Ajax in the Olympic stadium in Amsterdam in the European cup to give Celtic their finest European result for some considerable time. 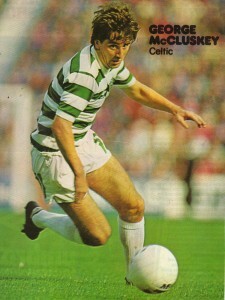 The footballing purists very much appreciated McCluskey’s style. He had wonderful control, a subtle touch and a shot like a mule in both feet. He was not the fastest of players but had a rangy running style which was deceiving and had the most wonderful habit of feinting past defenders and being able to turn in tightest of spaces. 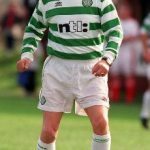 He also had courage and despite taking severe abuse from defenders in those days he was never one to hide and would always come looking for the ball. I have to confess to being a McCluskey admirer and he scored two of the finest goals I have ever seen scored by a Celtic player, both ironically coming at Firhill. In December 1980 at he lit up an otherwise forgettable game late on with the only goal when he pounced on a loose ball in the area beat a defender, rounded Alan Rough, and slid the ball into the net which was a thing of beauty. In November 1981 again at Firhill, he sold a Thistle defender a dummy 30 yards out and crashed a thunderous shot past Alan Rough, who barely moved such was the awesome power of the strike. The contrast with the technique of the first goal and power of the second summed George up completely. 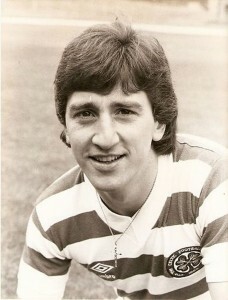 He was unlucky not to go to the world cup in Spain in 1982 when he was the SPL’s top scorer with 26 goals. 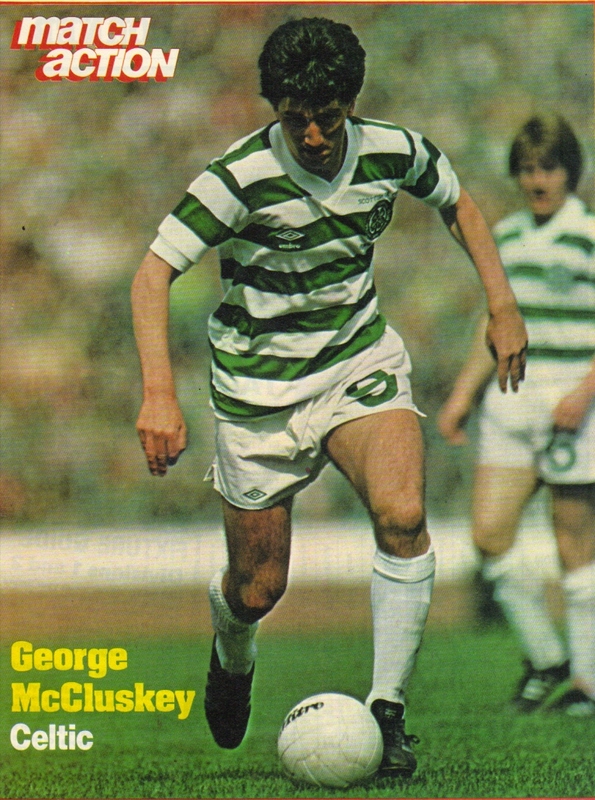 Unfortunately he lost his place in the Celtic attack to Charlie Nicholas the next season and in the summer of 1983 George’s contract was up along with Nicholas’s. Celtic offered George considerably less than Charlie and sadly both departed. George’s departure was a big blow to Celtic fans as they valued his talent and would not have been so distressed at Nicholas’s departure had George opted to stay. But depart he did and went South to Elland Road, Leeds. Like many others before him, it’s no secret to say that George’s career was never quite the same after leaving Parkhead as he was (and still is) a Celtic man through and through. He had many more good seasons left in him and this was very much Celtic’s loss. In Tommy Burns’ DVD he tells the story of Kilmarnock’s first season in the SPL after promotion in 1994. Tommy knew he needed experience and went to coax his old team mate into signing on for Kilmarnock. 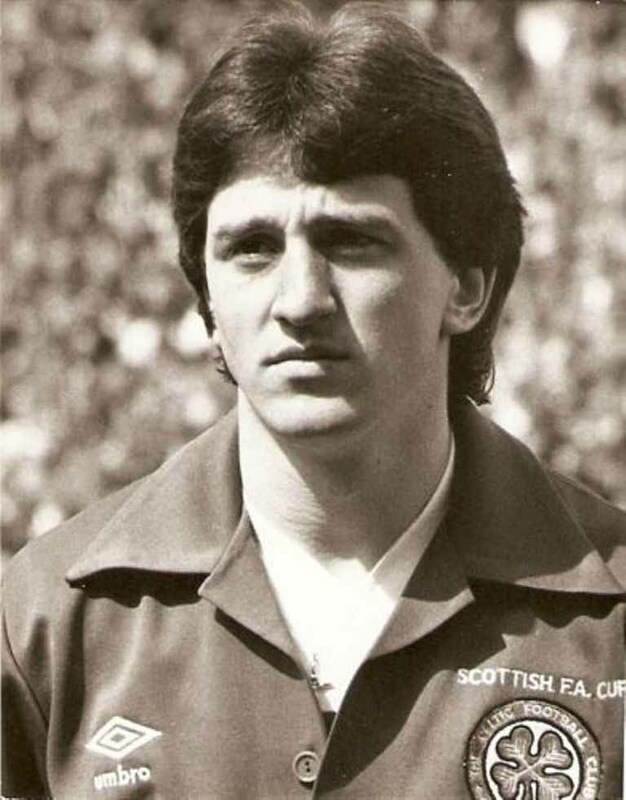 However George was 36 at the time and his knees were giving him trouble but he signed on for Tommy without even asking for money – in Tommy’s words – ‘Cause he wanted to help his old pal.’ George McCluskey’s goals were vital that season and Kilmarnock survived. Years elapsed and when Tommy sadly passed on George was one of the pall bearers at Tommy’s funeral. 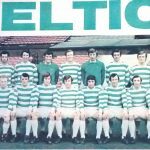 George was inconsolable as he carried the coffin and as I watched him that day my memory recalled the two young boys starting out in life with Celtic in the mid 70’s. Tommy, the elegant ball player with the striking red hair and magical left foot and the dark headed youthful looking George, the front runner hoping to score any chances that came his way. Both were ambitious, raw, excited and full of fun. 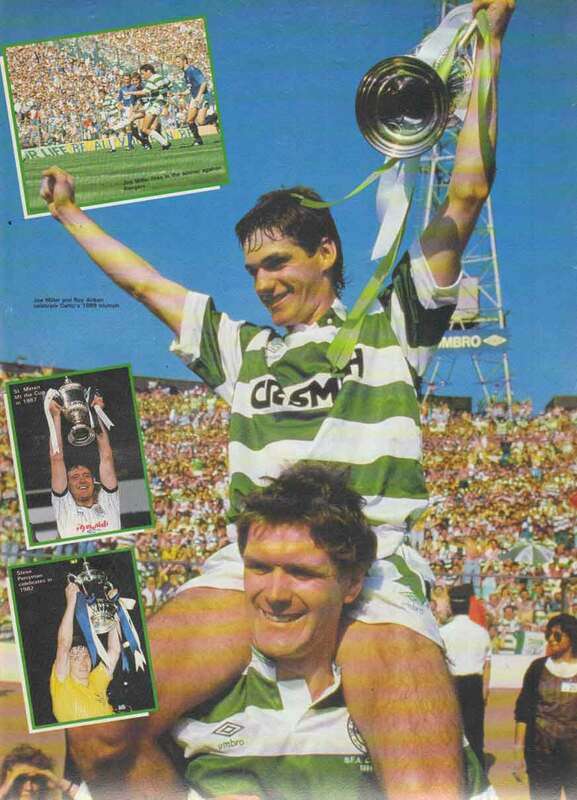 Both can be proud of what they achieved as Celtic players and they became real men. Make no mistake, George McCluskey was a magnificent Celtic player and is fondly remembered by those who cheered him on in the hoops.